If you were hunting elk with a local friend or family member, they should know where to hunt. But most DIY non-resident elk hunters will have to use basic hunting statistics to help choose the elk unit(s) they want to hunt. Before I dive into crunching numbers, I suggest that if you live in elk country, your time will be better spent scouting your local area than crunching numbers. If you don’t live in elk country, exploring the harvest reports can help get you excited about the upcoming hunt (if you need a reason to get excited about hunting elk) and it will at least give you a pseudo-scientific method to help choose a hunt unit. 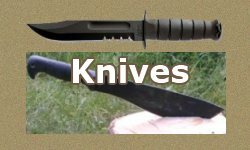 Many hunters seem to put too much emphasis on choosing the exact “best” unit as if that one unit will be the elk hunting “Garden of Eden” and all other units will be like Death Valley. I think all elk habitat is the Garden of Eden and I’m a happy camper no matter where I’m hunting, scouting or camping, as long as I’m out there. Especially during elk season. Every elk hunter wants to harvest an elk, but you can have an amazing hunting experience even without harvesting an elk. Remember that even in the absolute “best” units, most people are unsuccessful and even in some of the “worst” units, a few people are 100% successful. If I didn’t have any more knowledge of one hunting unit over another, I would choose a unit with a better success rate to hunt rather than my local elk unit. 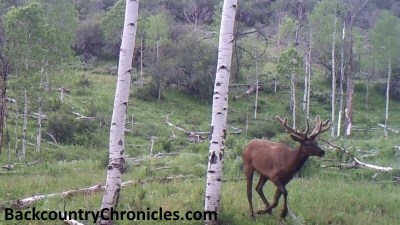 My local unit is managed for trophy bull elk, so the general season hunt is a spike elk only hunt. It is a very large unit with lots of elk harvested and lots of hunting pressure and spike elk make up a small fraction of the elk population. The overall success rate in 2015 was only 7.0% (for spike bulls), but since I can also get a cow elk tag about every other year, I’ve been able to harvest an elk about 50% of the time. I still choose to hunt my home unit despite the poor success rate because I do have local knowledge of the area. I often tell people to choose a unit where at least 80 – 100 elk were harvested. Sure, you could be one of a handful of hunters that were successful in a unit where very few elk are harvested, but that is not likely if you don’t have local knowledge of the area. Leave those small harvest units to the locals. So, what kind of data do the harvest statistics provide? How can we use this information to select a hunting unit? How many Elk were Harvested and How many Hunters were in the Unit? The number of elk harvested in a unit is a simple number that tells a lot about the unit, but it doesn’t tell the whole story. In fact, the number of elk harvested in a unit is almost meaningless unless we also know how many hunters did that harvesting. And both the numbers of elk harvested and hunters are more useful if they are standardized for the size of the hunt unit. For example, in 2015 Colorado units 39 and 85 had 109 and 108 total elk harvested respectively (see Table 1). 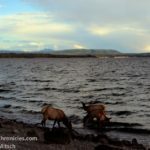 At first glance, it would appear they were almost identical for elk harvest, but if you knew that unit 39 totaled about 416 square miles and unit 85 had 1,174 square miles, you could calculate that unit 39 had 0.26 elk harvested per square mile and unit 85 had only 0.09 elk harvested/sq.mi. Do these units look the same to you now? The same comparison technique is useful for the number of hunters. In 2015, Wyoming units 66 and 103 both had 548 total elk hunters (Table 2). Unit 66 is about 1,924 square miles and unit 103 is 243 square miles, so unit 66 had only 0.28 hunters/sq. mi. (or 2,247 acres per hunter) and unit 103 had 2.26 hunters/sq.mi. (284 acres per hunter). More on the number of acres per hunter later when cover hunting effort, because the average elk hunter does not hunt most days. As I mentioned in an earlier post, each state has a wide range in the numbers of hunters and elk harvested in various units. As example, Table 1 in the previous post shows that hunt units of 5 Western states (Colorado, Idaho, Montana, Utah and Wyoming) ranged in the number of elk harvested (2015 data) from 0 to 1,250 and in the number of hunters from 2 – 3,936. Should we choose the unit with 1,250 elk harvested or the unit with only 2 hunters? Maybe, but probably not. In a perfect world, we could hunt a unit where lots of elk were harvested by few hunters. But in reality, high harvest units always have lots of hunting pressure. The total number of elk hunters and the total number of elk harvested are always highly correlated. The graph (Figure 1) shows the relationship between the number of elk hunters and the number of elk harvested for the 2015 General Elk Rifle Seasons by unit for Idaho, Utah and Wyoming. For those that are statistically inclined, the Correlation Coefficient was R=0.866 for 415 combinations of elk harvest and number of hunters. A perfect positive correlation would be 1.0, so 0.87 is a strong correlation. The R² for the regression line is 0.7497. Notice the regression line in Figure 1. The line is the best fit (shortest distance) to all points to help explain the relationship between the points on the graph. So should we choose a unit (represented by each diamond) above or below the regression line? If you would like to hunt a unit that had more harvested elk, you would choose units below the line. Units above the line are units with more hunters. What was Hunter Success in the Unit? The Average Hunter Success Rate is a useful measurement, but it is more meaningful with larger sample sizes because it is an average. If 25 hunters harvested 10 elk, that’s a success rate of 10/25 = 40%. If 2,500 hunters harvested 1,000 elk that’s also 40% success (1000/2500 = 40%). I would say you have as good a chance as anyone in a large, high elk population unit, but may be at a disadvantage in the lower harvest units if you don’t know the area. The average success rate is more dependable when more hunters are involved. When you look closely at success rates, small harvest units usually have both the highest and lowest success rates. From my data set of 415 units from five combined states, 20.7% of the harvested elk came from only 15 units; 15/415 = 3.6%. So elk harvest data appears to be more even more “top heavy” than many other data sets that follow the 80:20 rule. The remaining 80% of the harvested elk came from 380 units; 380/415 = 91.6%. 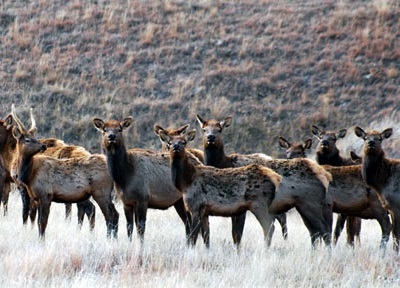 Twenty units (4.8%) had zero elk harvested. I think that determining the number of units that has half the elk harvest is a meaningful statistic, so half of the elk (50.2%) were harvested in 58 units (58/415 = 14.0%). 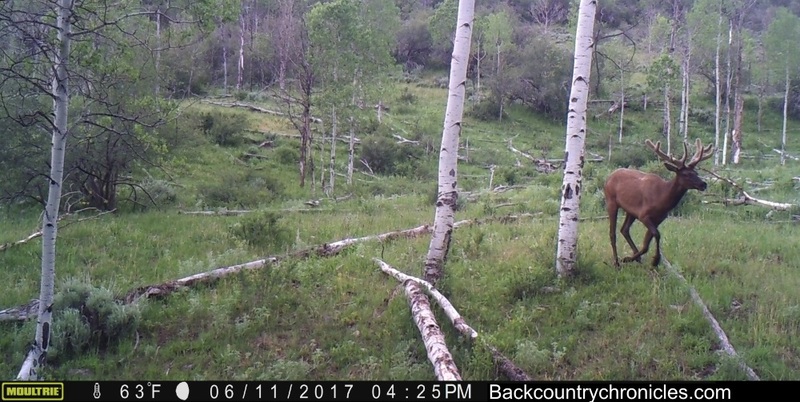 What does this Mean for Elk hunting? That means that the Top 15 elk units (3.6% of units from three states) accounted for 6,899 total elk harvested; 20.7% of all elk harvested in the three states (see Table 3). The remaining Bottom 380 units (91.6% of units; doesn’t include 20 units with zero elk harvested) accounted for the remaining 26,429 elk harvested; 20.7% of all elk harvested. Half of the elk were harvested in a about 14% (1/7th) of all the units. What was the total Hunting Effort in the Unit? We get the total hunting effort from the total recreation days in the harvest statistics. As example, In Utah (2015) 11,463 elk hunters hunted a total of 12,475 days in the “Any Bull” Elk Units. That works out to 5.2 days per hunter for the 13 day hunt season. I wish there were a way to know how many people hunted opening day and on weekends vs the middle of the week, but there isn’t. But would you have guessed that all hunters combined only hunted 40.0% (5.2 days/13 days) of the season? If we compare a few different hunt units, we see 4,502 elk hunters hunted a total of 24,081 hunter-days in the three South Slope Any Bull Elk Units (Yellowstone, Vernal & Bonanza). That is 5.3 days per hunter a (slightly more than the statewide average), but still only 41.1% of the season. The total range for average days per hunter (units with at least 25 elk harvested) in Utah was between 29.2% and 43.1%. The highest effort came from 396 hunters (2,218 total days) in the South Slope – Bonanza unit (5.6 days per hunter & 43.1% of total hunt days) and the lowest effort was in the Chalk Creek unit where 405 hunters spent 1,539 days in the field (3.8 days per hunter & 29.2% of total hunt days). The 2015 General Elk season ran from Oct 3 – Oct 15 in 2015 and opened on Saturday and closed after Thursday, so the season was open for two weekends. If most hunters hunted those two weekends and one more day (5 days), that would cover almost all of the average effort (5.2 days). I don’t think anyone has data about which days of the week are most hunted, but if I had to guess, I would say about half of all the hunting effort comes on those two weekends. Saturdays seem to always be the busiest and many hunters seem to show up to hunt on Fridays and don’t leave until late Monday. 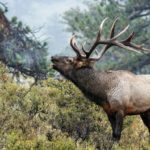 Oregon and Washington do not provide hunter effort (recreation days) with their elk harvest statistics, but Colorado, Idaho, Montana, Utah and Wyoming do. How many Acres per Hunter? I mentioned the size of elk units earlier, but didn’t explain where that data can be found. Specifically, we want to know how many public acres of suitable habitat are available during the hunting season. That information may be a little harder to find. 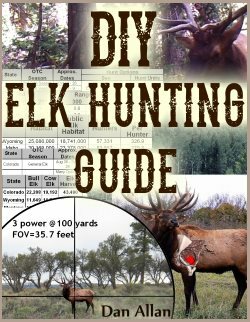 In the “State Licenses, Tags and Lingo” Chapter of my DIY Elk Hunting Guide, I link to sources for each state that will help you find that information. For example in Colorado, you want to look at the DAU reports to get acreage and percentages of public/private lands. For Montana, acreages/square miles and proportions of public/private can be found on the interactive hunt planner and in the individual chapters of the Elk Management Plan (search for square miles and acres in the description and also look for Habitat Objectives. Utah’s unit management plans provide acreage and proportions of public/private lands as well as habitats classified as to time of year. For other states and some units, you will have to estimate the acreage of hunt units. This can be done by downloading an image of the state hunt unit map and using a photo editor to determine how many pixels are in each unit compared to the entire state. That takes a little time, but you don’t need to determine the acreage of every unit. After we have found or determined the acreage of specific units and by using the data for hunter effort, we can compare units by size and hunting effort to determine how many acres each hunter has per day. The South Slope Unit (Utah; Any Bull) consists of 888,771 acres of non-winter public elk habitat. Some elk will be found on wintering habitat during that time of year, but not many so that represent the areas where most of the hunting pressure will be. So, if each of the 4,502 hunters simply divided up that acreage, each hunter would have 197.4 acres per hunter per day. (We know that most hunters stay near the road, so much more acreage is available for those that get off the 4-wheeler or get out of the truck and hump it). But since hunters only averaged 5.3 days of hunting, we can divide the total effort by the 13 day hunting season (24,081 hunting days/13 days = 1852.4 hunters per day). If that hunting effort were constant, each hunter would have 479.8 acres each day. If half of the hunting pressure occurs during the two, three day weekends (Fri – Sun or Sat – Mon), those six days would have 12040.5 hunting days of effort and the other seven days would also have 12040.5 hunting days of effort. That would leave 442.9 acres per hunter on weekends and 516.7 acres per hunter during weekdays. By comparing the raw elk harvest, number of hunters and hunter success we have one method to decide which hunt units we prefer. By also relating the raw numbers of elk and hunters to the size of the hunt units, we have a way to compare the density of elk harvested and the hunter pressure. By taking advantage of the total recreation data, we can further refine the comparison of hunting pressure. I hope these series of posts has helped those that are agonizing over which unit to choose. I really don’t know of any other way than personal experience (or paying for it) to get all the good information about a hunt unit. 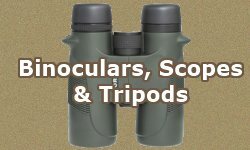 Go ahead, I encourage you to try to find good information of any of the hunting forums. But don’t get too bogged down about choosing the absolute best hunting unit. It doesn’t exist. I hunt a “crappy unit” every year and love it (I also ate elk tacos today and elk burgers yesterday and I still have tender loins for a special occasion). Your time may be better spent by randomly choosing a National Forest in the State you want to hunt and get busy scouting, getting into shape and planning for the logistical part of your hunt. There are thousands of elk on the landscape and there are millions of acres of public land to hunt for them. If you get out there, you have a good chance of running into them. 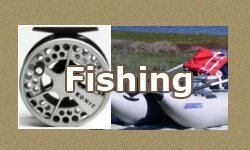 Hi Dan, My husband and myself came across your web site We are looking for the best odds to hunt an elk for a non-resident hunter, as we live in Rhode Island and wish to find out the best state to hunt Elk. HOWEVER, my husband is old school, not capable about reading from a computer or Device. We saw your book called DIY Elk Hunting guide. Can we order from you, a hard copy book, and have it shipped to us, instead of reading it on a Kindle, or another device? When I was looking to place an order on Amazon, it only offered to send the book into a Kindle, etc. Can I order a hard copy from you, or is there some other place to order it? Thanks! Laurelyn: That is exactly why I wrote the DIY Elk Hunting Guide. my book is a pdf file that you can download and read on any device. Wildlife Agencies change their websites. I also can add information that only people with the digital book can see at my website. Also, because it is a digital book, every time I update the book, all the previous buyers (from my website) get the update for free. If you like, I can send you a special version of the PDF file so you can print out the entire book or just the parts you want hard copies of. If you plan to DIY elk hunt in the west, you or your husband better get used to doing research “new school”. 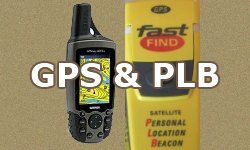 The computer is the only way to get all the info you need to decide where to hunt, learn the rules and buy tags from that far away and to scout your hunting area before you get here.